Marriott International (MAR) has agreed to buy Starwood Hotels and Resorts in a $12.2 billion deal that will make it the largest hotel chain in the world. 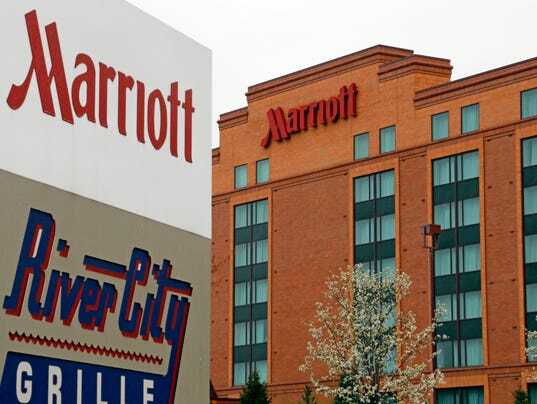 The boards of directors of both companies have unanimously approved a merger agreement, Marriott announced this morning. The combined companies will operate or franchise more than 5,500 hotels with 1.1 million rooms worldwide. About 35% of the properties are outside the USA. Shares of Marriott rose 2% to $74.21 in morning trading and Starwood fell 3.5% to $72.34. Marriott CEO Arne Sorenson will remain CEO of the combined company. The company’s headquarters will remain in Bethesda, Md. The companies expect the deal to close in mid-2016, following shareholder and regulatory approvals. Starwood indicated in April that it was seeking to reorganize or sell. Long-time CEO Frits van Paasschen resigned earlier this year. In an interview this morning, Sorenson said Starwood appealed to Marriott because of its portfolio of 11 brands, many of them lifestyle hotels that tend to attract younger travelers. Marriott has aggressively tried to target that consumer group with the introduction of such brands as AC hotels and Moxy. Starwood also brings with it a strong international presence that Sorenson says will help Marriott increase its global footprint.